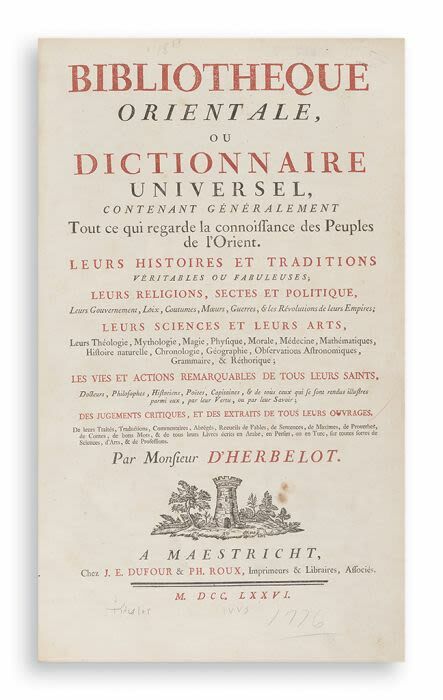 Bidspirit auction | D’HERBELOT, BARTHELEMY. pp. 30, 954. Lightly foxed. Later calf-backed marbled boards. Tall folio. Occupying the author for much of his life (1625-95), the work did much to open Arabic, Persian and Turkish literature to the West.